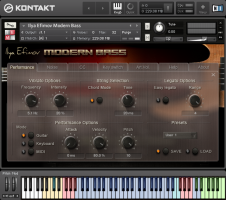 Ilya Efimov Production has released Modern Bass, a new library for Kontakt. 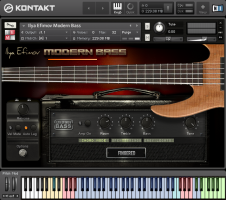 This carefully-crafted instrument is a detailed emulation of a hi-end 5-string "studio custom" bass from the F-Bass company. The playing techniques included in a single patch - fingered, slap, palm-mute and additional articulations - allow the user to conveniently and quickly edit their MIDI notation or play in real-time. By minimizing the use of keyswitches, the instrument has been designed to be simple and intuitive to use. 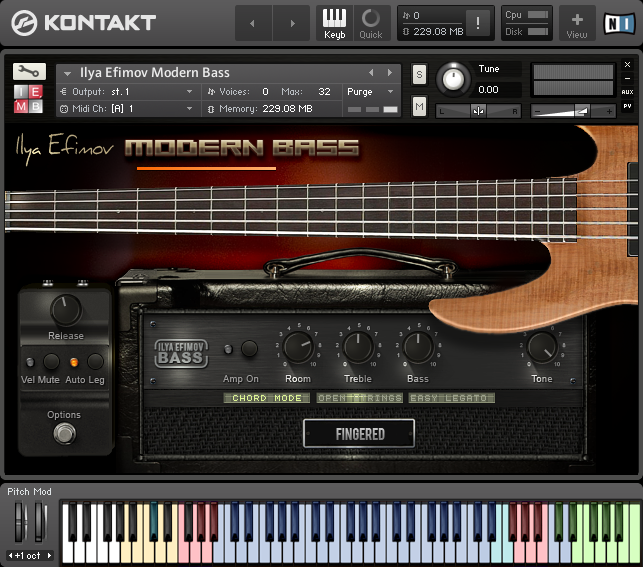 A sophisticated algorithm to select strings in real time, automatically selects the natural bass guitar left-hand position on the fretboard. 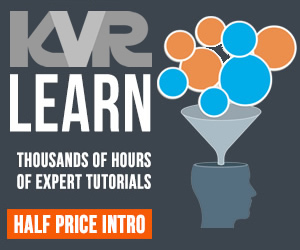 Manual string and position selection are also available. The library's repetition keys make it easy to play realistic ostinato bass-lines. 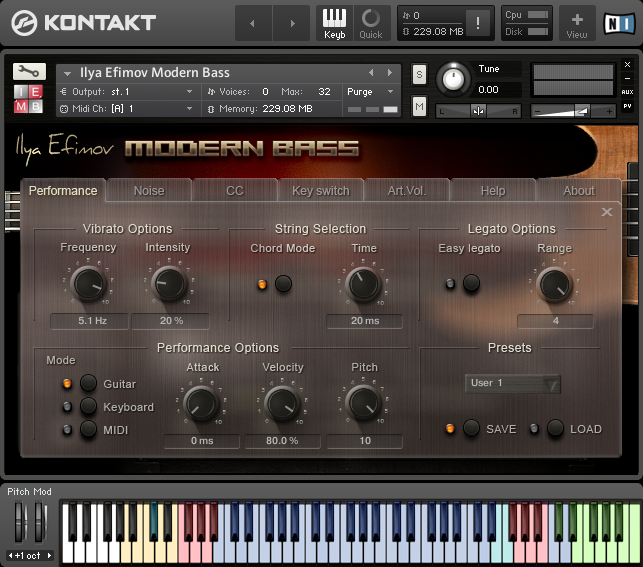 FX glissando will add to the realism of your bass guitar parts. Multiple legato types are changed automatically, depending on the first note played. Included also, are several Legato modes, Open String mode, Chord Detection mode and X-note mode. 3.74 GB ncw compression format. 3941 samples / 24-bit / 44.1 kHz. Up to 12 velocity layers, 21 frets on each string with round-robin algorithm. Fingered, Slap (Thumb & Pop) and Palm-Mute in one patch. Different natural legato for Fingered, Slap and Palm-Mute articulations. Thumb and Pop slap articulation, with Auto and Manual selection. 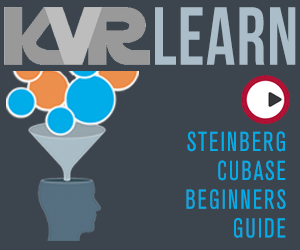 Auto and Manual String and Position Selection. Slide-ups, Flageolets, X-notes (two modes for x-note performance). Repetition keys for X-notes and last articulations. AMP cabinet and Bass tone effects. Multiple FX and Noises (strokes, fret noises, releases).